FTTH F8 Node is basically a fibre to the home node, having 8 output ports. It has very sensitive MIMIC in its circuit. It has balanced 8 outputs (RF). It is suitable for digital as well as Analog RF system. 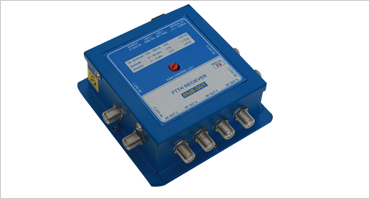 By using STB protector, it can be operated without any external power supply. It’s very high output level and extremely low noise makes it’s an excellent quality product.